The vertical ovoid tank takes advantage of the micro-oxygenation that is made possible by the clay-cement material. 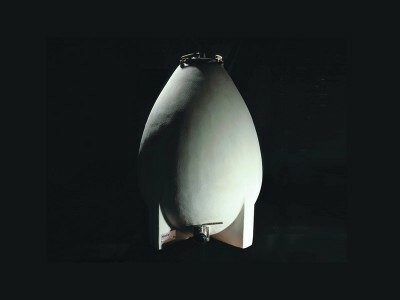 In this giant “egg”, the lees are continuously forced upward by an internal current resembling a vortex. the Roman “dolia”, a large jar for storing wine.